Welcome to the website of Spanger Elementary School “Where Children Are The Future.” Spanger, located near historic Old Roseville, is one of sixteen schools in the Roseville City School District. We opened to students in the fall of 1990 and continue to serve approximately 450 students in grades Kindergarten through Fifth. 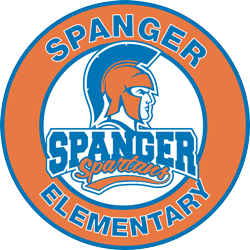 The mission of Spanger School is to provide student-centered classrooms in a safe and positive learning environment. It is our goal to work for academic excellence in basic skills, with a focus on creative and physical development, while encouraging students to become independent and lifelong learners. We invite you to visit our campus. Our parent surveys continually indicate that we set a high standard for a positive instructional atmosphere and maintain a safe and clean campus. Parents and family members feel comfortable each time they visit. Families are encouraged to become involved in their child’s education by volunteering, visiting, participating in school programs and being active in our PTC. The Spanger School community is a wonderful place for children to learn. We offer transitional and extended day kindergarten. We help prepare students for the 21st century economy by aligning with standards that emphasize critical thinking and problem solving. We help students focus on positive behavior and reinforce good decision-making through Positive Behavior Interventions and Support (PBIS). We offer a districtwide elementary Music Education Program with funds provided by the Roseville City School District Foundation (RCSDF).